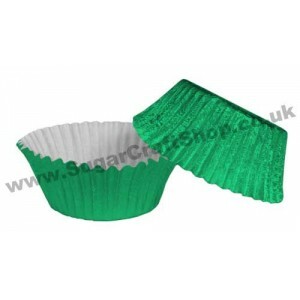 High quality foil fairy cake cases Suitable for smaller cupcakes Base: 45mm Height: 25mm Quantity: 50 Finish: Foil Colour: Green ..
High quality foil fairy cake cases Suitable for smaller cupcakes Base: 45mm Height: 25mm Quantity: 50 Finish: Foil Colour: Red ..
High quality foil muffin cases Suitable for deeper cupcakes where you would perhaps want more sponge or for the buttercream to be contained at the edges. 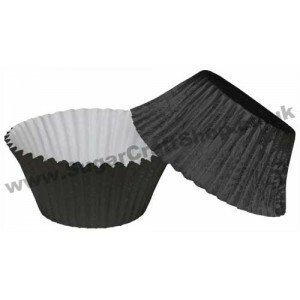 Base: 50mm Height: 35mm Quantity: 50 Finish: Foil Colour: Black ..
High quality foil muffin cases Suitable for deeper cupcakes where you would perhaps want more sponge or for the buttercream to be contained at the edges. 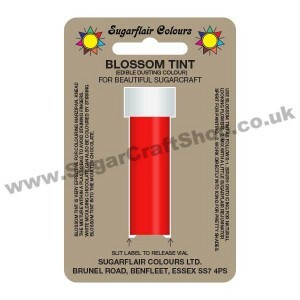 Base: 50mm Height: 35mm Quantity: 50 Finish: Foil Colour: Red ..
Blossom Tint is very effective for colouring marzipan. Knead the mixture within a plastic bag to avoid staining fingers. White moulding chocolate can also be coloured by stirring Blossom Tint into the molten chocolate. Use Blossom Tint as foll.. 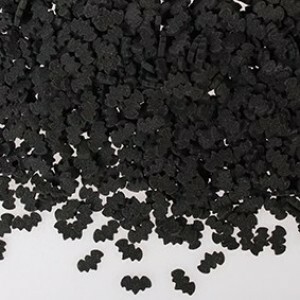 These edible sugar sprinkles are great for Halloween cupcakes, cakes, cake pops and desserts. 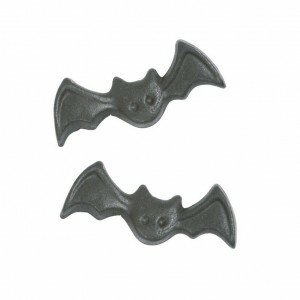 The black bats are sure to add a spooky look to your bakes! Each bat measures approx 9x4mm. .. 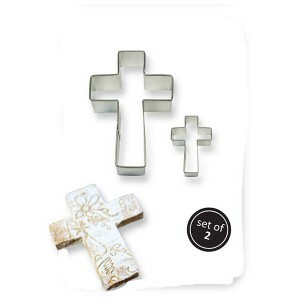 Perfect for chocolate or candy melts. Ghosts x2, Spiders x2, Witches Hats x2, Cats x2, Skull x1. Finished decorations are approximately 50mm tall and 10mm deep. .. 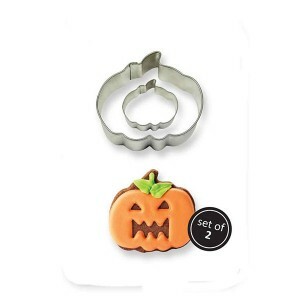 Mix and match these two sizes of high quality cutters to create tasty cookies and sugar decorations for your Cupcakes and Celebration cakes. Approximately 85mm and 45mm wide. .. 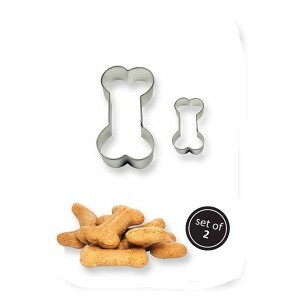 Mix and match these two sizes of high quality cutters to create tasty cookies and sugar decorations for your Cupcakes and Celebration cakes. Approximately 100mm and 45mm tall. .. Mix and match these two sizes of high quality cutters to create tasty cookies and sugar decorations for your Cupcakes and Celebration cakes. Approximately 75mm and 35mm wide. .. Ideal for decorating Halloween themed cupcakes and much more! 55 x 53mm. 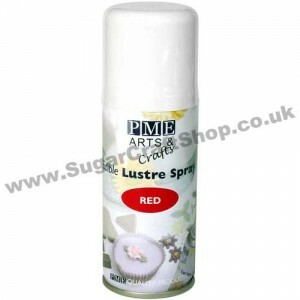 This product is suitable for contact with sugar. 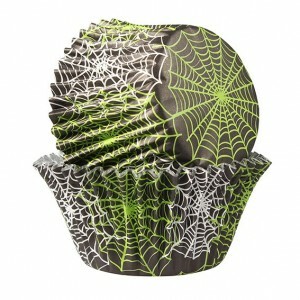 ..
Spiderweb Baking Cases. 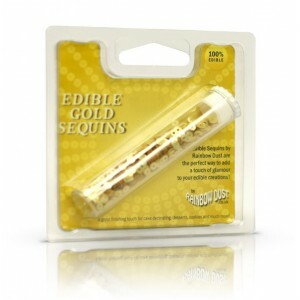 50mm diameter, 25 cases. 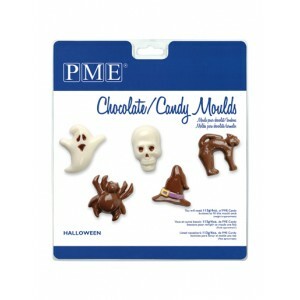 Ideal for your Halloween trick or treaters. Base 5cm, height 4cm. 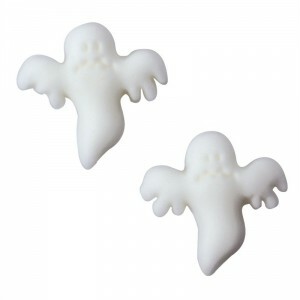 Foil-lined with a printed design to ensure the colours on the outside of the cases will always remain strong after the baking pro..
Sugar Halloween Decorations bulk sheet of 50 bats Approx 35mm x 25mm Perfect for cupcakes! 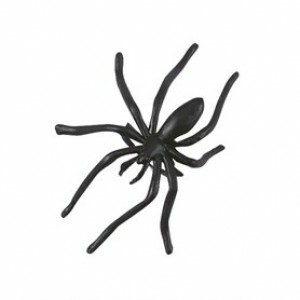 ..
Sugar Halloween Decorations bulk sheet of 63 Ghosts Approx 35mm x 25mm Perfect for cupcakes! ..